I offered to bring a dessert to a friend’s BBQ and was originally planning on bringing frozen lemon squares. But as I had a bunch of apples and a couple peaches to use up, I decided to go with apple peach crisp instead. 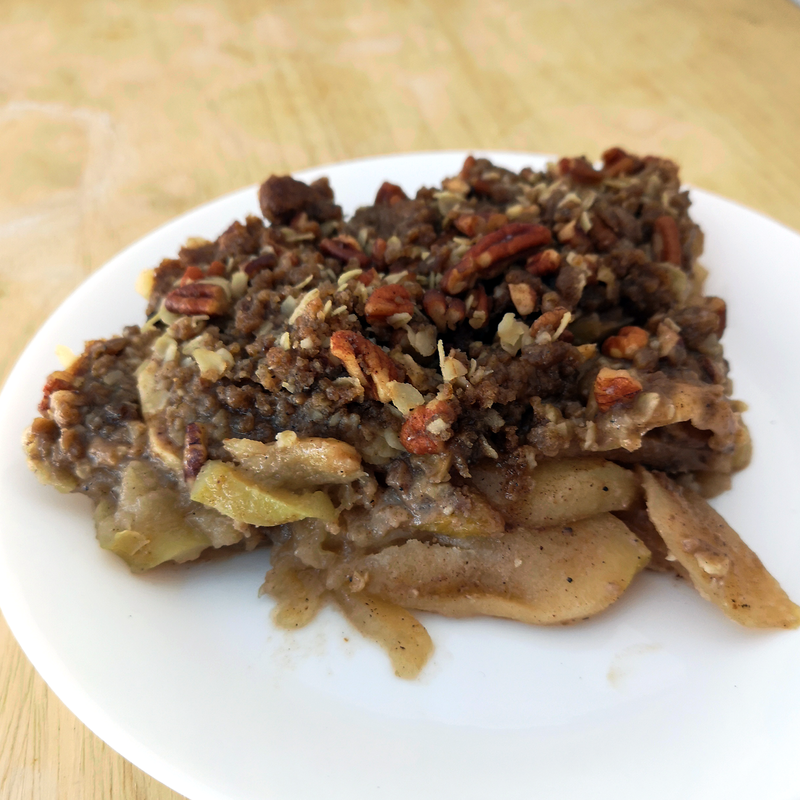 Crisp / Brown Apple Betty is an old school dessert, but it’s been around for a long time because it tastes so good. Both the Hubby and myself have a love/hate relationship with peaches. The fuzz on the outside is just a turnoff, but the sweet Okanagan peaches are a juicy burst of goodness once you’re past it. Peeling peaches is very easy and quick. Just put the peaches in a bowl, boil up a kettle of water, pour the water over the peaches and let sit for a minute or so. The skins will slide off with just a touch. The crumble on top is buttery and crunchy, a perfect pairing with the soft peaches and apples. Even better when served with a huge scoop of vanilla icescream. Preheat the oven to 350°F and PAM spray or butter a deep dish pie plate or 9" square pan. Combine the filling ingredients, tossing to coat everything evenly and place in the pan. Pulse the brown sugar and crumble butter in a food processor until a large coarse crumb forms. Combine with the other topping ingredients and spread evenly over the filling. Bake for 35 - 45 minutes until the bubbles start to appear around the edges and the topping is crisp and browned.